S.A.F.E Structure Designs, a global leader in the design, engineering and manufacturing of ergonomic safety-first OSHA-compliant aircraft maintenance stands, fall protection platforms, hangar equipment, portable field equipment and specialty tooling, announced that it has successfully designed, engineered and manufactured the first-of-its-kind Bell 429 custom maintenance platforms, side stands, tail boom, and tail boom rotor stand, which was delivered to the Nassau County Police Department (NCPD). 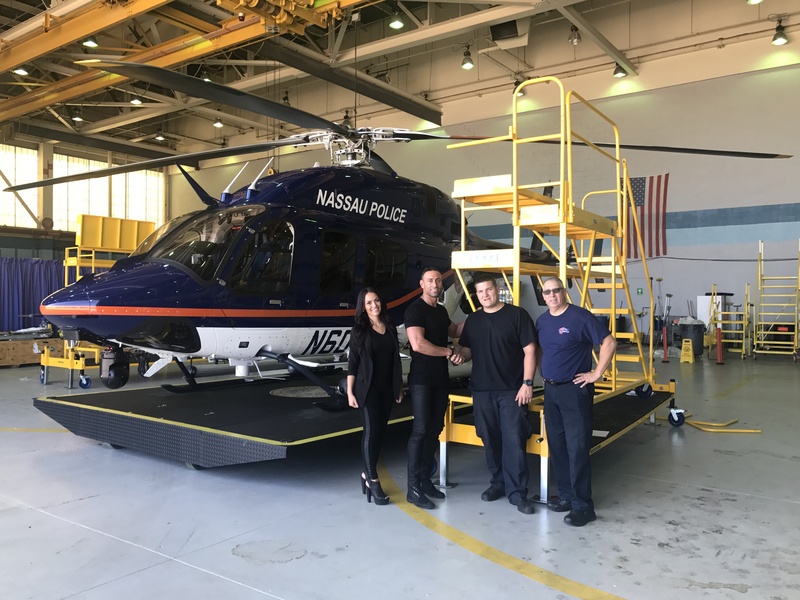 As the NCPD searched to find custom maintenance stands for the Bell 429, they found other companies using similar stands that were made for similar aircraft, but stands did not exist for the Bell 429. S.A.F.E. had the opportunity to work side by side with the NCPD maintenance crew for five months, and they were instrumental in communicating all of the specifics and critical feedback needed for S.A.F.E. to custom-design and engineer the platforms for the Bell 429. Such attention to detail is crucial when producing ergonomic OSHA-compliant safety first platforms, which S.A.F.E. adheres to without exception. To further evaluate the finished product after successfully manufacturing and delivering the stands, S.A.F.E. conducted a thorough test fit, inspecting and noting all parts and designs that would further perfect and optimize safety and ergonomic concerns. The final completed product is expected to be completed within a month.